There could be a number of reasons that you need to do an audit of a brand, and it is important that you look at lots of different measurements to ensure you are getting the right answers. There is no point analysing a brand without taking different metrics into consideration. In this post I am going to run through the metrics that I look at when conducting a brand audit, which should help guide you through this process on a step-by-step basis. There will also be other reasons, but the above three are the key scenarios that spring to mind. When you are performing an audit of a brand, your primary goal is to end up with a full summary of how a brand is appearing online and a list of recommended actions that need to be implemented to future-proof a brand. In order to achieve this, I follow the steps outlined below. If a brand has their name trademarked, the majority of the time they will add a small ® at the end of their logo. In this example, you can see the ® at the top of the ‘a’ on the brand name and they have also trademarked the logo image as the ® is at the bottom of the ladies foot. 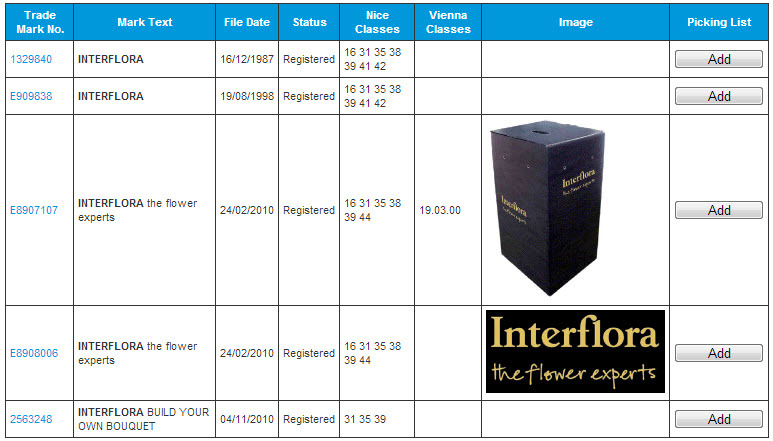 As an example, let’s take Interflora again. You can see all the different elements they have Trademarked, and if you want to find out more information, you can click on the trademark number in the left hand column. Top Tip – Registering a trademark can be very time consuming and if it’s not done correctly, costly too. If the brand does not have one, but needs to apply, I would consider employing a trademark specialist to help you along the way. When it comes to future-proofing a brand, domain TLDs are vital here. If you don’t have your brand trademarked and don’t secure the popular TLDs, there is nothing stopping someone coming along and setting up a company using that same name. I wouldn’t suggest registering all the different TLDs, but you do need to consider the ones that are important to you and the business you are working for. 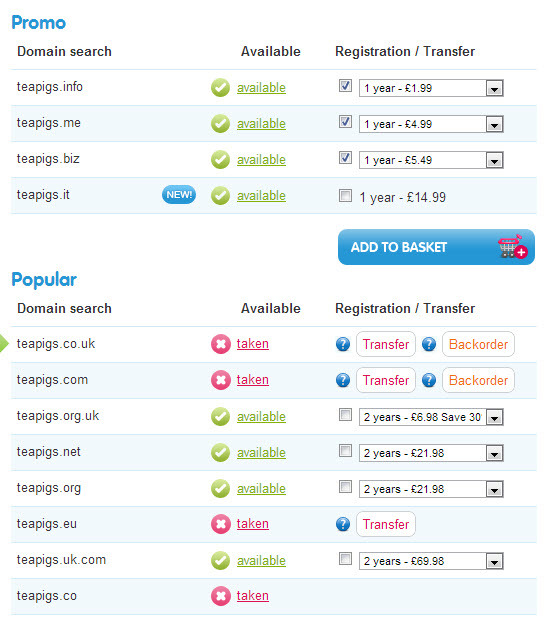 In the example below, I have taken Teapigs who have been around a good few years now. However, when you look at the popular TLDs that are still available, its left them a little venerable, so I would suggest registering them. Top Tip – On some domain checking sites, I have noticed that if you check availability for a domain more than once a day, it sometimes appears as being registered. If you then leave the site for a day and go back, the domain is available again. Although I have no proof of this, it could be that domain checking sites do this to add a sense of urgency to make you purchase the domain. With so many social media sites popping up all the time, it is important that brands keep a close eye on this and secure company profiles before someone else does. This is particularly important for the more well-known brands, as a lot of damage can be done very quickly if a profile gets into the hands of the wrong person. Also, if you don’t have your brand trademarked, it makes it very difficult for you to try and claim profiles back that you did not get round to registering yourself. The screenshot below has been taken for ‘PenguinBooks’. What you can see is that 13 profiles are yet to be claimed. 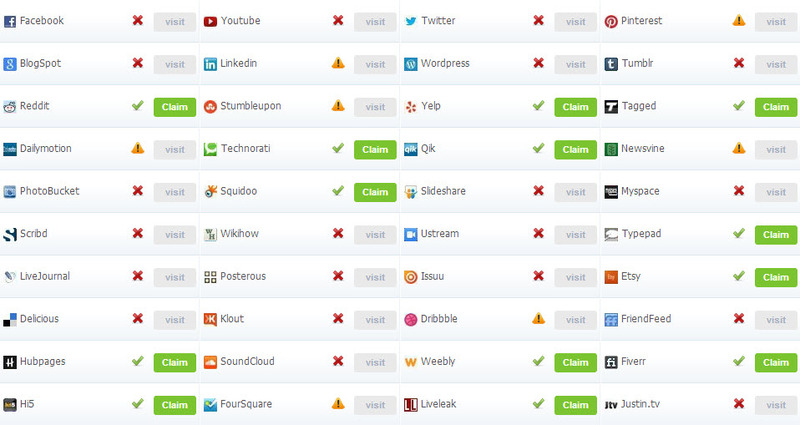 TOP TIP – Use a site like Claim Brand to check the availability of the brand name on the most popular social networks. You can then use them to register the profiles on your behalf saving you lots of time for just $279. Going back to the trademark section of this post, there will be times when it is worthwhile getting your logo trademarked. This will all depend on your business and what assets you want to protect. Not all businesses will be the same. In the below example, you can see the GMC logo and other logos that are classed as similar. Although this is not always going to be an issue, it is worth checking how similar your logo is to other brands out there. TOP TIP – Use the Reverse Image Search feature on Google to upload your company logo to see where it is being displayed online and whether there are any similar logos out there. You could be driving all the traffic in the world to your site, but if you have negative feedback about your brand sitting on page one of the SERPs for your brand term, this is going to put people off buying from you. In this day and age, people research brands and products before they make a purchase. This is for peace of mind that they are investing in something good. 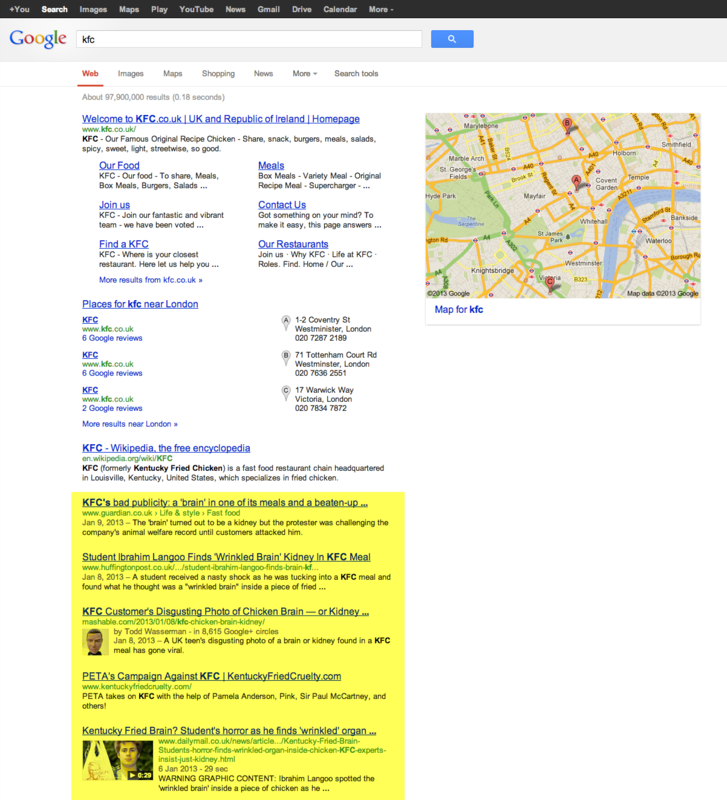 Take the below example of the page one results for KFC. All the listings, except for their own website, local listings and Wikipedia page are portraying the brand in a very negative light. I don’t know if you all saw the image of what was found in a KFC meal a couple of months ago, but it has certainly put me off eating a KFC! TOP TIP – Set up a keyword rank tracking tool such as Advanced Web Rankings (AWR) to track the top sites that appear for your brand terms. Use Google Analytics to uncover what keywords people search for, including your brand so you can track the different permutations. 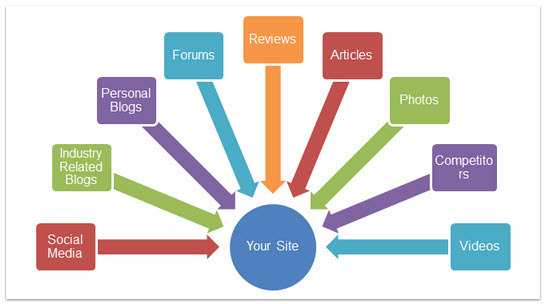 Check this on a weekly basis to see what movement you have on these terms and what sites appear. This will alert you to anything new appearing on page one for your core terms. To keep page one relevant to you, begin a comprehensive link building and SEO strategy to boost the relevance of the profiles you have control over. The core social properties are very easy to rank on page one for your brand name. Understanding what is being said about a brand online is very important. Years ago this task used to be a lot easier than it is today. However now, with the sheer volume of sites allowing people to have their say about brands, products and services, the task can now be very time consuming. On the face of it, a brand can look like everything is going really well, but it is not until you start to dig a little deeper that you may find out things that are not very positive. There are a number of tools available that will help you to do this, some free and some paid. Whichever tool you decide to use, make sure that it looks at all the various sites listed below, so you can really get a good idea of the conversations being had about a brand. The last step on my list is traffic. This is especially important if you are looking to buy an existing brand/site. It could be that you simply want the brand because of the name, and don’t care about how much traffic is driven to the site, but this is something that I think is always worthwhile looking at. Sitting down and having a look through Google Analytics for ten minutes will give you a lot of information, so it is a worthwhile exercise. I like to look at the three core mediums (organic, referral and (none)) over the past 12 months to see how much traffic comes into the site. If you change the graph to show the data for each month rather than on the set daily graph, you can see a trend which hopefully goes in the right direction. TOP TIP – Use the Panguin tool to overlay your Google Analytics data to see if the website has been impacted by any of the algorithm updates. Interested in tactics like these and want to understand how you can improve your branding strategies? Subscribe and download this free guide on brand monitoring and don't miss any future brand opportunities! * By downloading you automatically subscribe to our newsletter, you can end that subscription at any given moment. Samantha Noble is the founder of Biddable Moments and a former editor and contributor to State of Digital. Great article and I’ve shared it to spread the love! Thanks Lisa, glad you found it useful and big thanks for sharing! Thanks for pointing this out and I will update the post. It makes life so much easier and being able to scan through 900 social properties is brilliant. Even though I haven’t heard of a large number of them, it is always best to get them registered as you never know which one will become the next Twitter! Good one Samantha. Monitoring a Brand’s reputation is very important especially on many different social media sites where users express themselves freely about a brand. ORM and blocking the other TLDs for the brand name and blocking social media profiles with brand name at the earliest is very important too. Thanks for the comment Rank. Definitely, if you can secure your brand name on the social properties and TLDs to start with, you will be ahead of the game. I really enjoyed reading this article, especially the information on Trademarks. I never really knew what the little R with a circle around it stood, or its significance. I feel it is very important for a business to develop a logo that others can identify them by. For example, when we see the swoosh mark, we automatically think of Nike. As you have mentioned, this can be very costly for individuals that are not yet doing profitable business. They should maybe consider a smaller scale trademark campaign until the budget allows for a bigger one. The cost of securing a trademark varies depending on a number of things including the class you want to register it in, the country and whether or not anyone disputes the trademark before it is accepted. If you have a business, it is worth speaking to a trademark specialist to get their feeling on it. They do this day in, day out and will be able to advice you on costs etc before you start the process. The information you have posted about domains is interesting. Some smaller companies will not bother registering anything but a .com. I think is because they do not feel the other extensions are important. The most common and sought after extension is the dot com. As you stated, they may leave themselves open to someone coming in and grabbing the other domains and possibly branding them for profit. Other individuals may also buy the domain to set up as a parking page to collect traffic. They then can find ways to turn this traffic into a profit. The average person may feel it a waste to grab every available extension as this can quickly add up. The business would need to evaluate the potential market for the business and purchase the domains applicable to their particular need. This is exactly right, not all businesses will feel it is necessary to purchase all the different TLDs but no matter how big or small a company is, I do think it is important to purchase the most common, sought after domains. I attended an event a couple of years back and GHD Hair were there presenting and explained to the audience how much time they spend every day trying to take down sites that are selling counterfeit versions of their hair straighteners. They have to deal with thousands of companies that have purchased domains that include ‘GHD’ within the domain name and then they sell the counterfeit products from there. Not a good place to be in. a targeted market. I would think that if your name is branded or trademarked, you could make a case to the social sites to claim ownership of your name depending on the circumstance. I know a lot of the social sites will pay attention to the fact that you have a brand trademarked, but not all of them. Take Twitter for example, you will find it hard to get your company Twitter handle off someone who is using it but not as a treat to your brand. It is so important to try and claim them all as soon as possible to avoid disappointment. A person looking to buy a website would need to be careful when looking at reported traffic. Many individuals may buy a domain and drive paid traffic to the site in hopes to inflate rankings. If the buyer does not know what they are looking at, they will be surprised when they see the rankings and traffic drop not long after the purchase. Could not agree with you more Amanda. If you are looking to buy a website and don’t know much about running a site or marketing a site, I would always recommend that you get someone who knows what they are looking for to analyse the data. I like the idea of the reverse image search option in Google. It is amazing how much technology has advanced. It is best to shop around when getting a logo made if you do not have the skills do make one yourself. Some graphic artist will charge anywhere from $5 to several thousands of dollars depending on the work needed. Very true, it is important to check that your brand logo is unique as it would not be much fun if you put in all the hard work only to have another company try to sue you for copying their logo! Thanks for your comment. First page positioning is crucial for any business unless they have already made a name for themselves. But, as you have mentioned if the business does not focus on getting those first page spots, competitors can easily rank those positions with sites that offer negative impact on the image of the business. It is very important to see what is showing up on the front page for your business name. Thanks for your comment Sabrina. This is so true, but also negative posts can start to rank for your brand. If you do a search for ‘KFC’ at the moment, page one is full of negative listings about the brain that was found in someones meal. Not good for any brand! 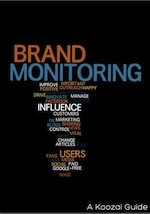 Brand monitoring is something that has changed of the last several years. One really didn’t have to worry about malicious things being said about their site or business. Now, individuals will hire people to go and post bad reviews about a competitor in order to cause damage. With all the sites out there, it is impossible to monitor them all. Thanks for your comment David. I wouldn’t say it is impossible if you use the right tool to do your monitoring for you. We use BrandsEye and it picks up mentions from the social media platforms plus other sites across the web. As ‘Koozai’ is a unique brand name, it does make this task a lot less time consuming so depending on the name of your brand, it could take a long time, even with the help of tools. Thanks for the information posted here. How would one go about driving organic traffic to a website without having a large budget to do so? Also, what steps should one consider in order to get first page rankings on Google and Yahoo? I would assume this is a long process that changes regularly. I have found myself on sites before that allow individuals to list their website business for sale. One of the main concerns I always hear about, is the validity of the traffic coming to the site. This is why it is important to ask for data of 6 months or greater to make sure that the traffic is mainly organic and not paid. I am glad I ran across this article. I never knew so much work goes into fully developing a website. For the average person, we just buy a domain, secure hosting, and throw up a website. Occasionally, we may create a logo, but with no intentions of branding. I was particularly interested in traffic and ranking. This is something I will definitely have to look into. Hey there! Someone in my Myspace forgather shared this website with us so I came to work a hunting. I’m definitely enjoying the entropy. I’m book-marking and afford be tweeting this to my followers! Surpassing journal and consultive article. Well said Samantha! Your brand is the belief fill tally of your acting. It also distinguishes your products or services from your competitors. Your affiliate’s “attitude” and simulation pattern your variety, conscionable as your publicizing does. An examine symptom strengths and weaknesses in your name and uncovers inconsistencies in how customers, employees and others content your accompany.Thanks anyways. Hi Samantha! My sincere thanks for including Trackur in your itemize of extricated interpersonal media monitoring tools. Our actual strength shines through when you play monitoring lots of diametric brands or keywords–that’s when our dashboard timing helps a lot. Thanks again! Really great summary of Online Brand Audit. Monitoring your brand can and should be the prototypic move for a visitant honourable turn their gregarious strategy. By virtuous perception you can instruct a lot nearly your society, products/services, customer operate, and new opportunities.Thanks for superb article. I am ever amazed at what tools are being industrial. Force like these are actually salutary. I give marker these sites and change a say to use them as our associate and barnd continues to get.Two fingers up for your nice article. Thanks for this eager identify of methods to set up perception posts, Samantha. I use Google alerts and RSS feeds for most of mine. Whatsoever of the tools you mentioned above seem to somebody any really informative features though. I increase you putting all these together in one position. Great tips! Thanks for these. I content I had my settlings drenched, but version this article I was already fit to undergo more mentions of our kind. I instrument definitely assets these with our clients. Most of them are smaller businesses and don’t ever feature the instance and resources required to varan the internet 24/7. These are all uppercase tools to ameliorate them change and control their brands online. Awesome article! Now-a-days Form Monitoring has become an constitutional strain for any organization. Your brands are your lifeblood and you requisite to live what’s being said some them online 24 X 7. Your insights present definitely ply to alter out the advisable. marque and kind fill having a individual to your firewood as easily.Samantha,what do you think of it?